We had a great time at our Valentine’s Day adults-only program! Once upstairs, they found a romantically-lit room with some sensual cephalopod action on the big screen with Jean Painlévé’s 1967 classic “The Love Life of the Octopus”. Helix Education Specialists offered a program on the botany of romance by dissecting roses and cacao fruit, explored the language of love with magnetic poetry, and investigated the mechanics of the heart with a literal heart dissection! Meanwhile, in a secluded booth, guests found out how hot their dates were by getting up close and personal with our heat camera. Everyone enjoyed wine and chocolate, and a few people even had the rare opportunity to sample fresh cacao fruit pulp—a delicacy virtually unknown outside of the tropics. Downstairs, the kids had a great time in our Light Lab with Explainers from the Exploratorium! 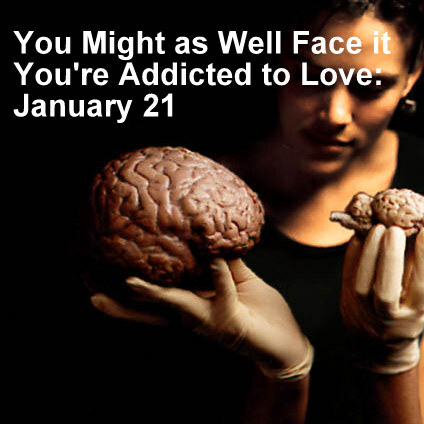 If you enjoyed this event, or if you missed out, or if you’re just curious to learn more, come to Helix on Friday, February 21 for a talk by neurobiology maven Alexander Pinigis on love and addiction and how they have similar effects on our besotted brains. Let’s understand love and its heady effects better.